Brixworth Music Festival 2019 has announced the winner of its International Competition for Women Composers. Entrants were asked to write a piece for piano quintet, lasting 6-10 minutes, with a performance of the winning piece in the historic All Saints Church, Brixworth, Northamptonshire, UK on 17 May 2019 by the Tedesca String Quartet and pianist Charles Matthews. On the competition panel were Festival Directors Vivienne Olive and Gwion Thomas, the conductor of the festival orchestra, Peter Dunkley, pianist Oksana King and the first violinist of the Tedesca String Quartet, Nic Fallowfield, working together with other musicians on the festival committee. The final judge of the shortlist was Master of the Queen's Music, Judith Weir. Entries were received from England, Scotland, Wales, USA and China. First prize went to English composer Rosalie Coopman for her atmospheric piece, A Winter Collage. An Honourable Mention was awarded to Chinese composer Xiaoxuan Wang. 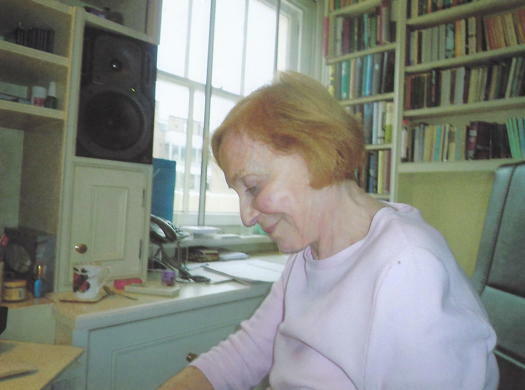 Born in London in 1932, Rosalie Coopman began composing as a child, and during those precocious years she played her piano compositions on the BBC. Full of zest, as a young woman her many interests led her to study art, history and languages in Florence, Italy. Her married life led her to take some years away from these pursuits, whilst developing a life-long interest in poetry. Eventually she returned to teaching and composing. During that period Coopman composed for film, documentaries and concerts, with a substantial part of her concert work focused on music for piano, duets and trios, often revealing a dance-like quality. Over the last decade, apart from a brief return to her early vocabulary in the piano work C'Tout (2007) and the trio If you should see him (2009), Rosalie Coopman has abandoned her early style and concentrated on small chamber sets, starting to develop a more succinct style. This is characterised by a clear, no frills sound, creating aural landscapes which are very often interjected by playful rhythms and colours. She has continued to move into a world where, though tonality (if there at all) is blurred via a sparse, concise vocabulary and imagery, a lyrical element always permeates the work. Xiaoxuan Wang studied composition at Shenyang Conservatory of Music in Liaoning province, China, where she now teaches on the music theory course. She often writes songs, chamber music and electronic music, some of which has won awards in China. Her competition piece, for piano quintet, is in a Chinese national style, presenting a Chinese theme, and she hopes it enables the audience to hear different sound effects and learn more about Chinese culture. Brixworth, a large village nine miles north of Northampton, has held an annual music festival since 2014 and is gradually gaining a reputation for the high standard of its concerts. The festival organisers introduced the International Competition for Women Composers two years ago and hope it will become an integral part of future festivals. Artistic directors, Vivienne Olive and Gwion Thomas, express their gratitude to the competition sponsors, who wish to remain anonymous, but who fund the competition prize and facilitate the performance of the new work. 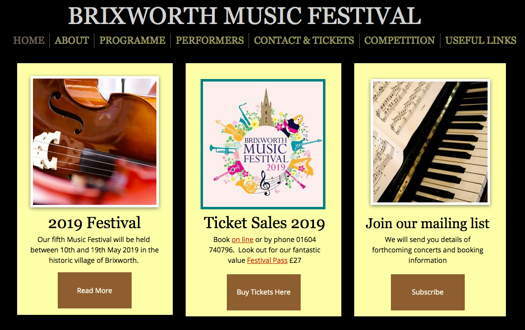 One of the aims of the festival is to raise the profile of women composers and to ensure their works are performed throughout the Brixworth Music Festival. The 2019 festival will cater to all tastes - ranging from choral music of the Renaissance, classical music for orchestra and string quartet to male voice choir and music from the shows.